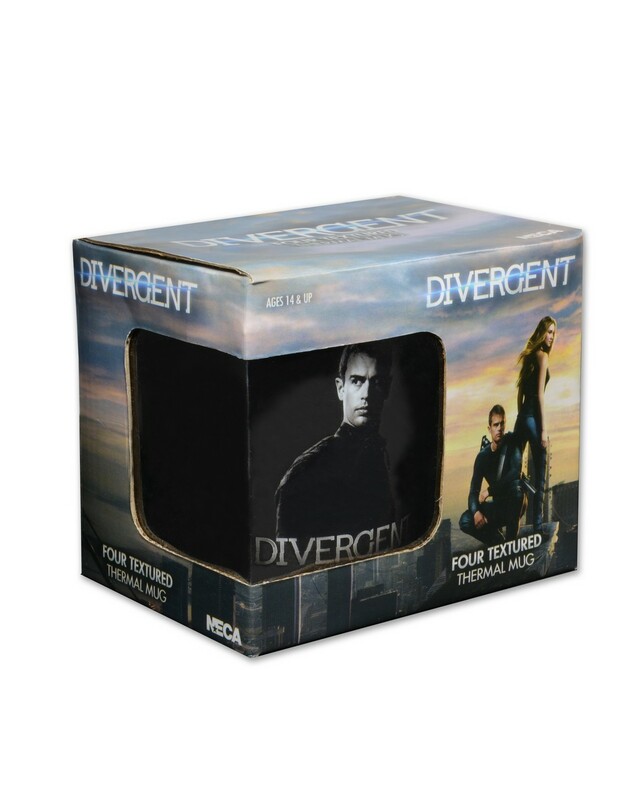 Enjoy your favorite drinks in this color-changing thermal mug from the Divergent movie! 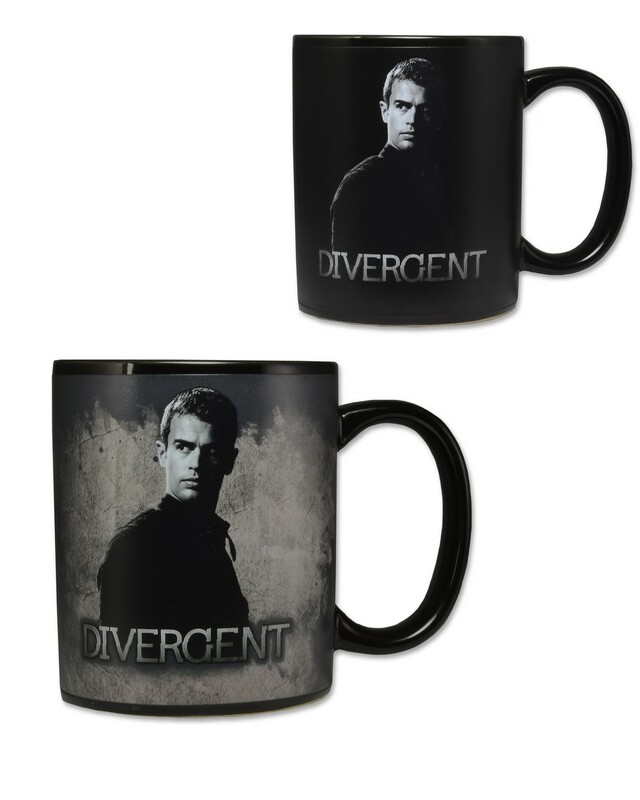 At room temperature, the black mug features an image of Four and the movie logo. But add any hot beverage and his name plus the five faction symbols appear on a textured background! Perfect for work, school, home, or as a gift to a friend who will undoubtedly appreciate your generosity. Holds about 11 ounces. Not microwave or dishwasher safe.